Transfer pricing law in India was introduced in April 2001 following the Income-tax Act 1961 (ITA), which covered intra-group cross-border transactions, and from April 2013, the provisions were extended to specified domestic transactions between related enterprises. The law broadly aligns with Organisation for Economic Co-operation and Development (OECD) Guidelines, and definitions of international transactions and associated enterprises are broad and expansive. The law provides methods to compute the arm's-length price, extensive annual requirements of transfer pricing documentation and penal provisions for non-compliance. Although the law covers both income and capital transactions with similar rules, it only covers capital transactions that have an incidence of income that is enshrined in the charging provisions. any other transaction having a bearing on the profits, income, losses or assets of such enterprises. any other relationship of mutual interest. The above definition includes deemed international transactions in third-party situations, particularly when the terms of the contract are determinable. The 2001 Law remained largely unreformed until 2012, when substantial changes were introduced. In particular, the definition of international transaction was retrospectively expanded to cover an array of other transactions, such as the purchase or sale of tangible and intangible assets, and capital financing. The definition of 'intangible property' was given a broad scope at a time when the debate on intangibles at the global level was gathering momentum (see Section IV). an Indian version of an interquartile range. Although the law in terms of its applicability only applies if there is 'income arising from an international transaction' and subject to the arm's-length principle, the debate regarding its applicability on issuance of shares or a capital transaction is now settled. The disclosure rules were, however, amended in 2013 to disclose such capital account transactions. Dividends are not ordinarily subject to arm's-length pricing principles because they are an appropriation of profits and exempt from tax at the shareholder level. Though Section 188 of the Companies Act 2013 prescribe for consent of the board of directors for specified related-party (domestic and international) transactions under Indian company law, there are no direct implications of not transacting at arm's length, such as deemed dividend implications, as other jurisdictions have. However, the ITA was amended to provide for a secondary adjustment (see Section VIII). relevant financial forecasts or estimates that form part of a comprehensive transfer pricing study. The documentation includes functions performed; risks assumed; assets employed; details of relevant uncontrolled transactions; comparability analysis; benchmarking studies; assumptions; policies; details of economic adjustments; and explanations as to the selection of the most appropriate transfer pricing method. The second part necessitates documentation that authenticates the information and analysis documented under the first part. Such documentation must be contemporaneous, maintained for a period of nine years from the end of the relevant tax year and presented to the tax authority on request, at the audit, assessment or dispute resolution stage. The annual documentation has to be updated to reflect the latest financial data for comparability analysis and changes, if any, in transactions, as regards functions, assets, risks or terms of arrangements between associated enterprises. A mandatory accountants report for all international transactions between associated enterprises is to be obtained from an independent accountant, who would certify the existence of transactions (in the books of accounts) based on the documentation and supporting information. The report has to be furnished in Form 3CEB by the due date of the tax return filing (i.e., on or before 30 November, following the close of the relevant tax year). The report requires the accountant to give an opinion on the proper maintenance of prescribed documents and information by the taxpayer, and to certify the correctness of an extensive list of prescribed particulars including methodology of such transactions. Failure to supply this report would lead to a penalty of 100,000 rupees. A penalty of 2 per cent of the value of the international transaction may be levied for failure to maintain a prescribed documentation report of a transaction or providing incorrect documentation. India is committed to implementing the OECD's recommendations, contained in Action Plan 13 of Base Erosion and Profit Shifting (BEPS). In pursuance thereto, India amended the ITA in 2016 to introduce a requirement of furnishing of a country-by-country report (CbCR) together with the transfer pricing documentation for the year ending 31 March 2017.
the aggregate value of international transactions in respect of purchase, sale, transfer, lease or use of intangible property during the accounting period, must exceed 100 million rupees. The master file in Form 3CEAA has two parts: Part A specifies the generic information about constituent entities in India, and Part B specifies details relating to the business structure, policies, etc. Where an international group has multiple constituent entities operating in India, the group may designate one of its constituent entities as an alternate reporting entity to fulfil the requirement of filing 3CEAA on behalf of the group. Since the final CbCR rules were notified on 31 October 2017, the deadline for filing for financial year 2016–17 was extended to 31 March 2018. Strict penalties have been prescribed for the failure to maintain CbCR documentation. an unspecified method (the unspecified methodology was introduced from financial year 2011–12). On the choice of methodology, the statute prescribes the use of the 'most appropriate methodology'. The transfer pricing rules on this choice of methodology is in line with OECD regulations, with the exception of methodologies being ranked in a hierarchical manner. Having said that, it is appropriate for taxpayers to choose the most appropriate methodology. If, however, it is believed that the taxpayer's choice of methodology it deems most appropriate does not arrive at the correct arm's-length price, it may disagree and recalculate the arm's-length price using an alternative methodology. In the initial years of transfer pricing audits, the appellate authorities took a liberal view and allowed the default use of TNMM 'most appropriate methodology' due to the difficulty of obtaining comparable data for benchmarking unique or complex transactions in which the choice of methodology has become debatable. Though there is a tendency on the part of the tax authorities to use the CUP method, inadequate availability of comparable data with significant economic adjustments has been reasoned by taxpayers to reject CUP, the taxpayer's view has found acceptance in several judgments of tax tribunals. In the context of research and development (R&D) centres, the tax authorities' tendency to use the profit split method was put to rest by issuing administrative guidance, by virtue of which R&D centres were characterised either as 'full-risk entrepreneurial', cost-sharing arrangements or simple contract R&D centres. Choosing the most appropriate methodology in these situations is dependent on the characterisation of R&D centres. In accordance with prevailing internal administrative guidelines, all taxpayers with an aggregate value of international transactions with associated enterprises in excess of 50 million rupees are referred to a transfer pricing officer (TPO) for detailed audit or assessment. The threshold of 50 million rupees may be reviewed on an ongoing basis. Cases were selected for detailed audit issuing a notice under Section 143(2) to the taxpayer within six months from the end of the financial year of the compliance calendar mentioned above. There is a statutory requirement for the assessing officer (AO) to make reference under Section 92CA of the ITA of such transactions to the TPO for an audit, with prior approval of the jurisdictional commissioner such that only select cases or transactions are audited. However, past experiences suggest that such cases are referred and notices issued in a fairly mechanical manner. Typically, the TPO specifies the records, documents and details that are required to be produced for such an audit. There is no statutory mandate to follow a risk-based process to choose cases for audit, subjecting most if not all taxpayers to an audit or assessment process. The TPO has wide assessment powers requiring the production of necessary evidence and material information to support the computation of the arm's-length price of the international transaction. Audit cases are scrutinised in detail to ensure that all relevant factors such as appropriateness of the transfer pricing method applied and correctness of data is verified. After taking into consideration all the information available, the TPO is required to determine the arm's-length price. TPOs are vested with powers of inspection, discovery, enforcing attendance, examining a person under oath and compelling the production of books of account and other relevant documents and information as part of the assessment function. The powers were further widened from 1 June 2011 to conduct surveys for spot inquiries, verification for subsequent investigation and collation of data. Such powers are enshrined in Sections 133A and 133B of the ITA, which empower the TPO to enter any premises to inspect such books of accounts, cash, valuables, or he or she may require any information that may be useful or relevant for such proceedings. Investigative powers of the tax authority in general, including for Transfer Pricing Law, is discussed in Section VI. A penalty of 2 per cent of the value of international transaction has been provided for either failure to report transactions or furnishing incorrect documentation at the audit stage (S.271AA). any other similar item that derives its value from its intellectual content rather than its physical attribute. The definition of the term 'international transaction' was broadened retrospectively in 2012 to cover transaction in the purchase, sale, transfer, lease or use of intangible property. It expanded in 2012 with retrospective effect to practically cover every direct or indirect transactions in relation to intangible property. The disclosure requirements of international transaction relating to intangibles changed in 2017 by making it mandatory for taxpayers to disclose details of such transactions, having aggregate value exceeding 100 million rupees in respect of lease or use of intangible property. Such details are to be filed by the taxpayer in Form No. 3CEAA and it shall be furnished to the Director General of Income Tax (Risk Assessment) on or before the due date for furnishing the tax return. The debate on intangibles in general, particularly marketing intangibles, has reached the Supreme Court. It started with the tax authority carrying out mechanical adjustments based on 'bright line theory' to advertising, marketing and sales promotion expenses (incurred towards third parties) in excess of comparators. Such adjustments were held as invalid by the first appellate forum, the Tax Tribunal (special bench in LG Electronics as the lead case); instead what was allowed for adjustment were expenses that were not directly related to sales activity (without spelling out the concept of non-routine brand promotion expenditure). The Delhi High Court (in Canon as the lead case) granted further relief by negating the bright line theory and prescribing basis for use of methodology and adjustments, etc. Under the same High Court in Maruti-Suzuki case, a manufacturer struck down the entire adjustment on the ground that there was no international transaction and hence the question of adjustment was academic. All the cases are currently before the Supreme Court awaiting a final outcome. Tax authorities have, in general, maintained its position on adjustment due to intangibles, and though it has not spelled out a formal policy as to how to undertake such adjustments, an informal guideline (using the intensity adjustment principle) is used by TPOs to carry out adjustments on marketing intangibles. Similarly, India has not specified any formal policy in response to DEMPE principles articulated in the BEP Action Steps other than the 2017 disclosure requirements. The CbCR reporting requirement now mandates listing all multinational enterprise group entities engaged in the development of intangibles and the description of a multinational enterprise's strategy (TP policy) for development, ownership and exploitation of intangible property. Based on these categories, suitable methodology is prescribed as either the profit split method or cost-plus method, and the most appropriate methodology is forensically applied. Unlike other jurisdictions, there is no mechanism for the settlement of transfer pricing disputes with Indian tax authorities. For settlements, safe harbour provisions, unilateral and bilateral APA mechanisms are viewed as avenues to mitigate risks in advance, and the mutual agreement procedure (MAP) under the treaty is considered, post adjustment, to settle disputes. The rollback provision under an APA also enables settlement of past disputes given its binding nature. In a move to reduce litigation and boost investor confidence, India introduced unilateral, bilateral and multilateral APAs with effect as of 1 July 2012. The APA guidelines were finalised in the latter part of 2012 and eligible taxpayers were entitled to apply for APAs for transactions from 1 April 2013. Further, India's APA programme has matured and received an overwhelming response in the past five financial years, ending 31 March 2018, with over 800 applicants. As part of the APA process, taxpayers are required to file an annual compliance report containing detailed information of actual outcome to demonstrate compliance with the terms of the APA. The APA programme allows multinational enterprises to agree inter-company prices or margins in India (and overseas) methodology, etc. As at 1 December 2017, India had concluded 171 unilateral and 15 bilateral APAs. The APAs covers various transactions such as software services, IT-enabled services, intra-group payments, business support services commission or indent. The MAP has often been resorted to as a credible avenue for settling transfer pricing-related disputes. Under the MAP process, the Indian competent authority allows the foreign associated enterprise, a resident of the treaty country, to submit its MAP plea via its country's competent authority. India has concluded several MAPs with its treaty partners, including the United States, United Kingdom and Japan. Under various administrative directions, tax demands arising out of adjustments with foreign associated enterprises who are residents of the US, UK, South Korea and Denmark are frozen until the MAP process is concluded, subject to the submission of suitable bank guarantees. Until recently, India held a position that, unless the treaty contains Article 9(2), it would not settle disputes via MAP. By virtue of this stand, India did not resolve transfer pricing disputes with several of its treaty partners, including Singapore, South Korea, France and Germany. The position has, however, been restored with CBDT vide press release, dated 27 November 2017. India has received most MAP requests from the US, UK, Japan and Canada. Over 100 cases between the US and India entailing $800 million have been resolved under MAPs. India introduced safe harbour rules in 2009 for resolving disputes for specific industries or transactions, particularly in the area of IT-enabled services, software development R&D, exports of goods in the auto ancillaries industry, inbound offshore loan or debt transactions, etc. The 2009 safe harbour limits were set with a higher threshold, and as a result there were fewer takers in the initial years. The safe harbour limits were revised downwards and tweaked further in 2013 to encourage taxpayers to avail of safe harbour, particularly for inbound low value-added services. Tax authorities will accept the transfer price declared by taxpayers opting for safe harbour within the limits set out without question or scrutiny. The latest guidelines on coverage of transactions limits and procedures were set out in Rule 10TD and Rule 10TE. There is currently no concept of transfer pricing investigation other than the audit or assessment process, as discussed in Section III. Section 153A – assessment or reassessment in situations of search and seizure, where the tax authorities have reason to believe that the taxpayer's accounts do not reflect the true picture or the taxpayer has failed to produce the accounts. the taxpayer has failed to furnish any information or documentation that was asked to be furnished within the specified time. It can arrive at an arm's-length price on the basis of information or documentation gathered over the course of assessment or audit. A show cause notice has to be issued to the taxpayer to explain the basis of such adjustment. The order of the TPO shall be binding on the AO, who shall incorporate in the taxpayer's main assessment and issue a draft order. The transfer pricing assessment or audit is mandatorily required to be completed by 31 January and the AO is expected to incorporate the TPO's order for an adjustment within the next two months by 31 March such that the period does not exceed 36 months from the end of the relevant tax year. The primary onus is on the taxpayer to maintain documentation to demonstrate that the price charged in an international transaction complies with the arm's-length price, and the method followed to ascertain the price is the most appropriate method. The taxpayer discharges such onus by maintaining the documentation and the onus shifts to the tax authority. In the event the tax authority disagrees with the taxpayers' view and seeks additional explanation, the burden of proof again shifts (to the taxpayer) to prove why the APA or method applied by the taxpayer is correct. not file an objection and instead, allow the TPO or AO to convert the draft order into a final order and thereafter file an appeal before the Commissioner (Appeals) within 30 days of the final order. DRP as an alternative dispute resolution mechanism was introduced in the law by the Finance Act 2009 to expedite resolution of disputes in transfer pricing. Once the taxpayer chooses to opt for the DRP process, no tax demand can be raised given that the order is in a draft form. Such DRP objections have to be filed within a period of 30 days. The DRP, comprising three commissioners, shall have to decide the taxpayer's objections within nine months from the date of reference by issuing written directions to the AO. Such directions are binding on the AO, which it is expected to incorporate in the final order. Alternatively, if the taxpayer does not communicate its decision to refer the draft order to the DRP within 30 days, the AO shall finalise the assessment order without modification of the draft assessment order. In summary, the tax demand is finalised only upon passing of the final order by the AO, which is appealable to the appeals commissioner (if the taxpayer does not file an objection) and to the Income-tax appellate tribunal (ITAT), if it is passed in pursuance to the DRP directions. The taxpayer has the right to appeal to the ITAT within a period of 60 days from the final order in pursuance to DRP directions or the order of the appeals commissioner. The ITAT, being the last fact-finding authority, examines the dispute threadbare and adjudicates most transfer pricing disputes. It has broad powers to decide a question of law or facts including setting aside an assessment or restore the order of the TPO or AO for fresh examination, including admitting additional evidence. The ITAT orders selectively travel to the jurisdictional High Court and from there to the Supreme Court. The High Court has to satisfy itself that a 'substantial question of law' arises from the ITAT order before admitting an appeal. An Indian subsidiary entity of Vodafone and Shell issued shares to its foreign associated enterprise. The TPO formed an opinion that the shares were issued at an undervalued price. Hence, they treated the shortfall in premium of issue on shares as 'income chargeable to tax' in the hands of the Indian entity and made a transfer pricing adjustment. The TPO held the same to be deemed a loan given by the Indian subsidiary to its foreign associated enterprise. Hence, a notional interest on arm's-length pricing on the deemed loan was charged as interest income by way of secondary adjustment. The issue before the court (under a writ jurisdiction) was whether the alleged shortfall in share valuation constitute 'income' in the hands of the Indian entity, and was hence chargeable to tax. 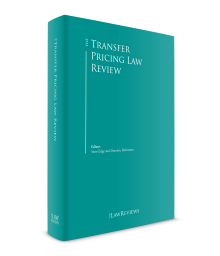 The High Court held that transfer pricing provisions provides to recalculate the arm's-length price to determine the real value of the transaction but not to recharacterise. Hence, there was no question of the transaction resulting in income and there could be no transfer pricing adjustment. As a consequence of primary adjustment if such sums are not repatriated to India within the prescribed period, it would be deemed as an advance by the Indian associated enterprise and interest would be imputed on such advance, as per the arm's-length price standard. Secondary adjustment has to be applied where the primary adjustment is above 10 million rupees and it relates to primary adjustment for fiscal years 2015 to 2016 onwards. For adjustments, the penalty is either 50 per cent of the adjustment (for under reporting) or 200 per cent of the adjustment for misreporting. India amended the ITA in 2012 to counter offshore indirect transfer of shares with underlying assets in India. Section 9(1)(i) provides that if any entity registered outside India derives its value from an entity situated in India in the form of shares or interest, then the former entity is deemed to be situated in India and liable for capital gain tax. Accordingly, transfer of interest in such foreign entity would attract capital gains, subject to exceptions and valuation norms. 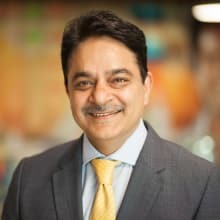 In line with the OECD's BEPS action plans to tax e-commerce transactions, India in 2016 introduced 'equalisation levy' to provide for a charge of 6 per cent in the form of tax from amounts paid to a non-resident, not having any permanent establishment in India, for specified services, which includes services such as online advertisement and provisions for digital advertising space. In 2018, India introduced the concept of significant economic presence test to tax non-residents on profits generated through non-PE traditional rules under the treaty. CBDT has clarified that MAP and bilateral APA applications can be applied by any taxpayer operating in India (regardless of residence) with which India has a double taxation avoidance agreement even though the agreement does not contain provisions for corresponding adjustment in matters of TP. Indirect tax implications (under goods and service tax and customs tax) with regard to transfer pricing adjustments are independent. Hence, a related-party transaction may be subject to tax and customs adjustments. As an active member of the G20, India has signed multilateral instruments, is a key contributor to the OECD's BEPS initiative and has actively pursued changes in its domestic law policy. A significant step has already been taken to adopt the OECD's recommendations of mandatory filing of a master file and CbCR. India introduced the General Anti-Avoidance Rules on 1 April 2017 and concluded revised tax treaties with Mauritius, Singapore and Cyprus with the 'limitation of benefits' clause, aligned to these rules and the Principal Purpose Test. 1 Mukesh Butani is a managing partner at BMR Legal. The author would like to thank Surekha Debata for her assistance in writing this chapter.